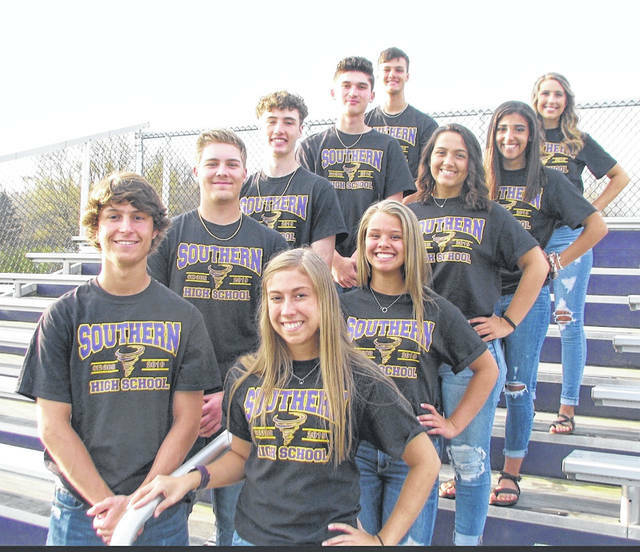 King and Queen candidates have been announced for the 2019 Southern High School Prom, which will be held Saturday, April 13. King candidates (front to back) are Logan Drummer, Jensen Anderson, Noah Diddle, Austin Baker nd Weston Thorla. Queen candidates (front to back) are Madison Lisle, Peyton Anderson, Tori Chaney, Jacynda Glover and Marissa Brooker. Walk in is 7-8 p.m. at the high school. The theme is “Midnight Garden”. Courtesy of Southern High School. https://www.mydailysentinel.com/wp-content/uploads/sites/14/2019/04/web1_4.9-SHS-Prom_ne201948113517112.jpgKing and Queen candidates have been announced for the 2019 Southern High School Prom, which will be held Saturday, April 13. King candidates (front to back) are Logan Drummer, Jensen Anderson, Noah Diddle, Austin Baker nd Weston Thorla. Queen candidates (front to back) are Madison Lisle, Peyton Anderson, Tori Chaney, Jacynda Glover and Marissa Brooker. Walk in is 7-8 p.m. at the high school. The theme is “Midnight Garden”. Courtesy of Southern High School.